Jack Van Kley’s environmental law career spans more than 37 years as a government litigator and law firm practitioner. He started his career with the Environmental Enforcement Section of the Ohio Attorney General’s Office in 1979, representing Ohio EPA, the Ohio Department of Natural Resources, and other environmental agencies. In this role, he filed cases under the air pollution, water pollution, hazardous waste, solid waste, drinking water, natural resources, and other environmental laws for 15 years. He also defended permits, orders, regulations, and other administrative agency actions, including numerous appeals of Ohio EPA’s water quality standards. Some of Jack’s most significant cases were six enforcement actions against the U.S. Department of Energy and U.S. Department of Defense. These cases were brought to clean up and control the hazardous wastes, radioactive wastes, radioactive air emissions, and water pollutants at these plants. During his government service, Jack held several supervisory positions in the Environmental Enforcement Section. Starting in 1989, he guided the State’s expanding Superfund practice, supervising all State cases under the Comprehensive Environmental Response, Compensation, and Liability Act (CERCLA) and personally litigating and negotiating many of them. Later, Jack served as the Section’s Chief Litigator, overseeing litigation strategy for all State civil and administrative cases. He concluded his government service with three years as Section Chief, supervising 75 attorneys, investigators, and staff and their work load of 1,000 cases and investigations. In this position, he also monitored all state and federal environmental legislation. For example, he assisted with legislation establishing Ohio’s voluntary action program and the Federal Facilities Compliance Act controlling hazardous waste activities at federal facilities. He also advised the Director of Ohio EPA on the State’s complex legal issues. Since 1995, Jack has been engaged in the private practice of environmental law, formerly at Jones Day and now at Van Kley & Walker. This practice includes litigation, transactions, legislation, permitting, and compliance counseling. Jack counsels industry, agriculture, and local government on regulatory and permit issues. His industrial and commercial clients have ranged in size from multinational corporations to small family-owned businesses. His agricultural clients have included trade associations and many large, medium, and small livestock and poultry operations. He has also advised local governments of all sizes. Examples of significant counseling representations include advice to manufacturing plants on new source review, assisting in the permit applications for many of Ohio’s largest dairies, handling permit and regulatory issues for siting a new electric power plant, helping a township set up a MS4 storm water program, and advising numerous farms and agricultural trade associations about NPDES permits and the EPA agreement for air emissions. In his litigation practice, Jack defends clients against government and private lawsuits, as well as filing cases to protect the environmental and property interests of companies, farms, and local governments. Some of his notable cases have involved the litigation and settlement of a contentious CERCLA contribution suit on behalf of two natural gas companies, the resolution of a state NPDES lawsuit against two dairy farms, the defense of a water supply dispute against a municipal client, a water rights lawsuit to protect the water supplies of four county and municipal clients, and resolutions of several air pollution enforcement actions against industrial clients. He represents clients in permitting proceedings before the Ohio Power Siting Board. He files administrative appeals of clients’ permits to challenge unduly stringent requirements, including Title V and NPDES permits. He also defends clients’ permits against objecting neighbors. In the transactional field, Jack has assisted industries, hospitals, banks, farms, landlords, tenants, and other clients engaged in hundreds of property transfers, mergers, joint ventures, leases, and loans. This assistance includes reviews of environmental studies, the clean up of contaminated properties, drafting and negotiating agreements, and enforcing indemnification provisions. In the legislative arena, Jack has assisted agriculture and industry by drafting, commenting, or testifying on important legislation. Notable examples include a law transferring the Ohio EPA permit program for livestock and poultry farms to the Ohio Department of Agriculture, a statute requiring Ohio EPA to base its NPDES actions solely on credible scientific data, and a law abolishing the Ohio Hazardous Waste Facility Board and reforming the cumbersome permit procedure for siting hazardous waste facilities. Chief (1991-1995), Chief Litigator (1988-1991), Superfund Supervisor (1989-1991), Assistant Chief (1985-1988), and Assistant Attorney General (1979-1995) in the Environmental Enforcement Section, Office of the Attorney General, State of Ohio. 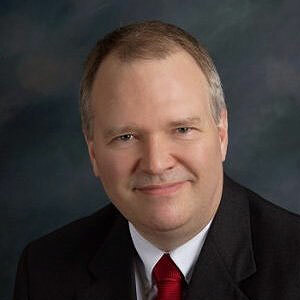 Named as a leading environmental attorney in Ohio by Chambers USA. AV (highest) rated by Martindale-Hubbell. 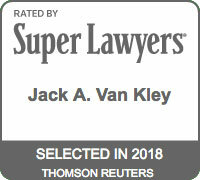 Selected as an Ohio Super Lawyer. Named in Best Lawyers in America. Lectured at numerous seminars and conferences for organizations such as CLE International, Columbus Bar Association, Environmental Law Institute, Executive Enterprises, Manufacturers’ Education Council, National Association of Attorneys General, National Business Institute, National Governors’ Association, Ohio Chamber of Commerce, Ohio Farm Bureau Federation, Ohio Livestock Coalition, Ohio Manufacturers Association, Ohio Pork Producers Council, Ohio Poultry Association, Ohio State Bar Association, U.S. Air Force Judge Advocate General School, the Northeast, Midwest, Southern, and Western states hazardous waste organizations, and bar associations. Also lectured on environmental liabilities to a delegation from the Peoples’ Republic of China, an event sponsored by the United Nations. Member of the Ohio State Bar Association Environmental Law Committee. Argued before the U.S. Supreme Court in State of Ohio v. U.S. Department of Energy, an environmental enforcement case against the federal government. One of five (out of 7500 state attorneys nationwide) recipients of the 1992-93 Marvin Award from the National Association of Attorneys General for outstanding leadership, expertise, and achievement. Participated in national working group of federal, state, local, and tribal officials seeking solutions to environmental problems at facilities owned by the Department of Energy, Department of Defense, and other federal agencies. Served on the Environmental Working Group for the National Association of Attorneys General, a national committee that coordinated multi-state amicus briefs in the federal appellate courts. U.S. Supreme Court; U.S. Courts of Appeals for the Sixth and District of Columbia Circuits; Northern and Southern Districts of Ohio; and State Bar of Ohio. “CERCLA Update,” Ohio State Bar Association’s 30th Annual Ohio Environment, Energy and Resources Law Seminar, April 24, 2015. “Storm Water Management for Landscape Architects,” Half Moon Seminar for Landscape Architects, March 3, 2013. “Wind Turbines,” Ohio Township Trustees’ Annual Conference, Feb. 1, 2013. “Regulatory and Permitting Update on Animal Feeding Operations in Ohio,” Ohio State Bar Association Environmental Law Seminar, Apr. 21, 2012. “Understanding Water Rights,” Half Moon Seminar on Ohio Water Laws and Regulations, Aug. 25, 2011. “Storm Water Management for Landscape Architects,” Half Moon Seminar on Legal Issues for Ohio Landscape Architects, Aug. 17, 2011. “Updates on Miscellaneous Environmental Topics Affecting Agriculture: Wind Turbines, Zoning, Livestock Permits, Tanks, and Outdoor Boilers,” Ohio State Bar Association Environment, Energy and Resources Law Seminar, May 1, 2010. “Understanding Landowners’ Water Rights,” Ohio State Bar Association, Mar. 2010. “Water and Air Pollution Issues at Agricultural Operations,” Ohio State Bar Association Environmental Law Seminar, Apr. 26, 2007. “Avoiding Liability for Manure Application,” Ohio State University Extension Service, Apr. 10, 2007. “Nine Ways to Protect Your Farm from Growing Environmental Liability in a Litigious Society,” Dairy Farmers of America, Nov. 1, 2006. “‘Hot’ Water Issues and Developments . . . Emerging Trends Impacting Your NPDES Permit,” Manufacturers’ Education Council, July 28, 2006. “Ten Ways to Protect Your Farm (and Your Sanity) from Growing Environmental Liability,” Dairy Farmers of America, June 28, 2006. “The Impact and Effect of New and Evolving Environmental Regulations,” Ohio and Indiana Farm Bureau Federations, Sept. 6, 2005. “How to Influence Critical Agency Decisions That Lock in Your NPDES Permit Limits Before the Permit Is Drafted,” Manufacturers’ Education Council, July 28, 2005. “EPA’s Safe Harbor Agreement for Air Emissions,” Ohio Poultry Association, Feb. 2005. “EPA’s Safe Harbor Agreement for Air Emissions,” Ohio Pork Producers Council, May 25-26, 2005; Dec. 16, 2004. “Stormwater Construction Permits and Management Practices,” National Business Institute, Dec. 1, 2004. “EPA’s New MS4 Stormwater Requirements for Local Governmental Facilities,” National Business Institute, Dec. 1, 2004. “Riparian and Water Rights for Public Water Supplies and Private Landowners,” National Business Institute, Dec. 1, 2004. “Public Access and Recreation on Navigable Streams and Lakes,” National Business Institute, Dec. 1, 2004. “Confined Animal Feeding Operations,” National Business Institute, Dec. 1, 2004. “Coming to a Watershed Near You: TMDLs, Watershed-Based Permits, and Other Emerging Trends in the NPDES Program,” Manufacturers’ Education Council, July 28, 2004. “Ohio Water Resources Council and Nonpoint Source Task Force,” Ohio Chamber of Commerce, Apr. 14, 2004.